The last chapter in Ibn Batuttas odyssey, Andalusia was a land of art, poetry, architecture, science and learning. Influences of that great time and civilization shine through in every corner of the court. 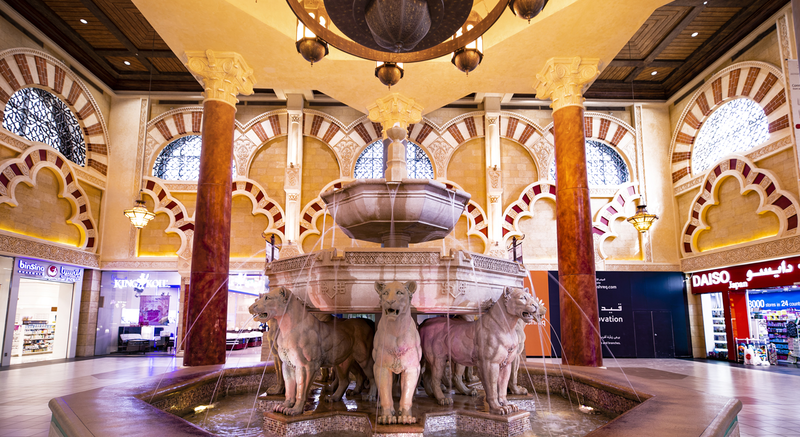 The star-shaped ceiling and Fountain of Lions are inspired by the Alhambra Palace. The lofty halls and accentuated arches, take you back to Grand Mosque of Cordoba. The red stone walls and terracotta tiles add to the distinct Andalusian flavour. Take a walk through Andalusian history while you shop.